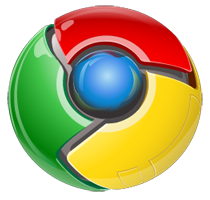 Google released the beta for its new internet browser, Chrome. Pretty basic so far, and I won't go into all the features, you can read up on their site, but so far I'm pretty impressed. I'll still use Firefox in the meantime for my Gmail, GCal, and GReader, because I can't live without the FF extensions I have for those sites, but other than that, it's Chrome all the way, baby.